Neither of us has changed much 8 years on! This is still one of my favourite parts of Gibraltar today for its lively cocktail bars, great restaurants and the close up view of the planes taking off and landing on the runway nearby. The stunning sunsets over the water are also a reason why I love this spot so much. Last time we were here we spotted the colourful sunset just as we were heading out for dinner but this time the blogger in me had to get up in the middle of dinner and run along to the end of the jetty. I could not miss capturing a shot of the gorgeous orange sky! 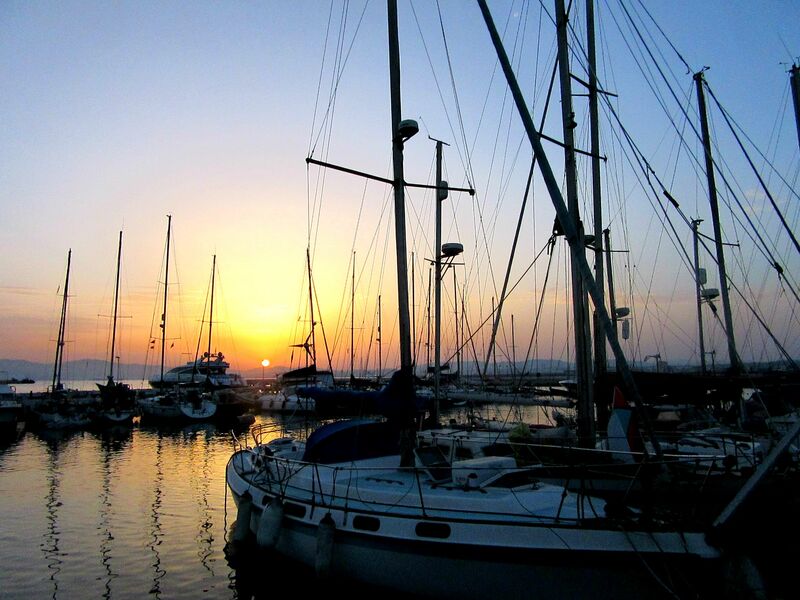 I could easily have sat on the edge of the marina watching the sky changing colours all night, but our favourite restaurant, Bianca’s, was waiting for us as always. I remember sitting outside in the sunshine when I was little, eating cheesy chips with my nan and grandad, my mum trying to convince me to try calamari under the pretence that they were onion rings. Thanks mum, this is probably why I have a huge dislike for seafood! Aside from the calamari incident, we love this restaurant so much that Mr Ayla and I even had a feast of pizza here for our wedding breakfast due to Mr Ayla being a slight pizza fanatic. I say slight, but he really could eat pizza for breakfast, lunch and dinner every day if I let him. So our stomachs were extremely happy that they still do the tastiest pizzas in Gibraltar! Even though we were staying in a newer hotel closer to the centre of town this time, we still visited the Caleta, a lovely secluded hotel right on the Rock edge, overlooking the sea and Morocco in the distance. 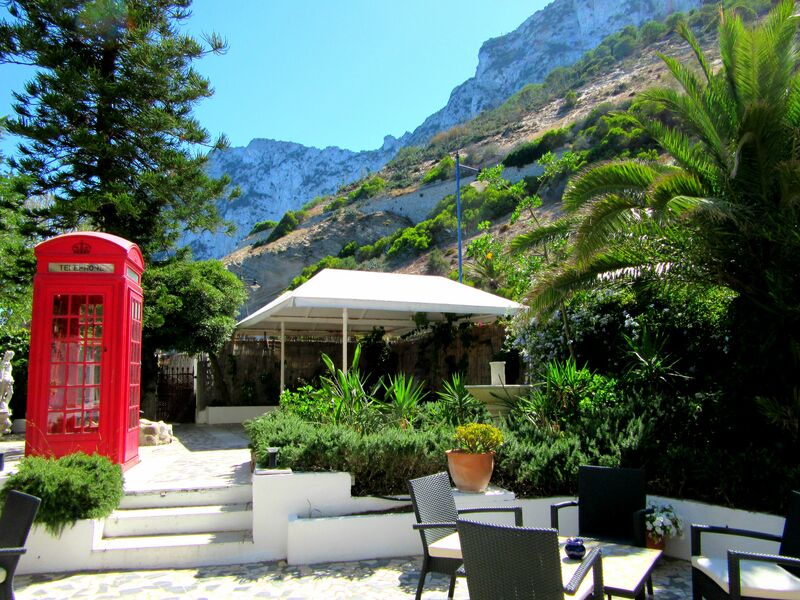 It’s the place we normally stay when we visit Gibraltar and it’s where Mr Ayla and I got married. The hotel is undergoing some major refurbishments and the pretty little garden where we said our vows won’t be there for much longer so it was lovely to see it one last time. We’ve already agreed that a return trip to the new plush hotel, perhaps to celebrate an anniversary, will be on the cards once it’s all completed! Right next to the hotel is Catalan Bay so we wandered down and spent the rest of the day sunning ourselves on the beach. The sand was so scorching hot that I’ve never seen my nan run so fast to get across the sand! 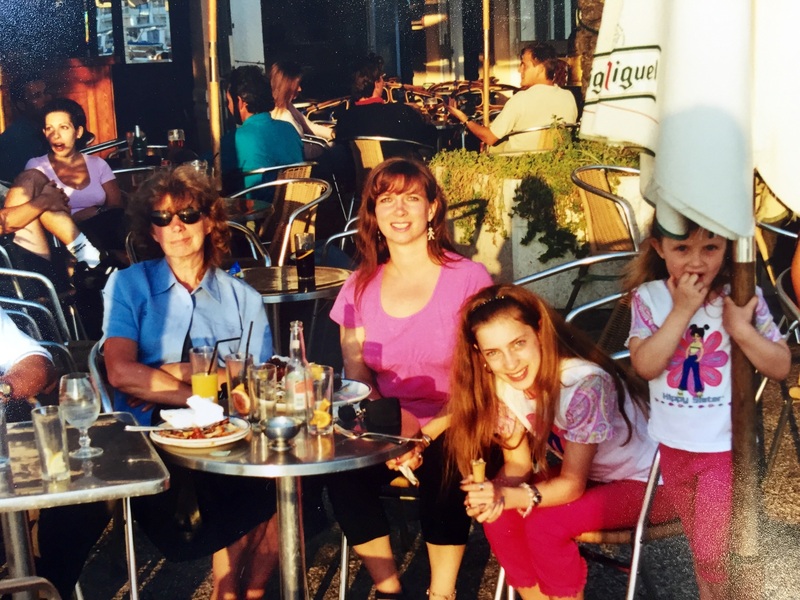 For years we have been sitting in the same spot, where I would play in the sand with my sister and cousins, swim in the sea with my grandad and sunbathe with my mum. 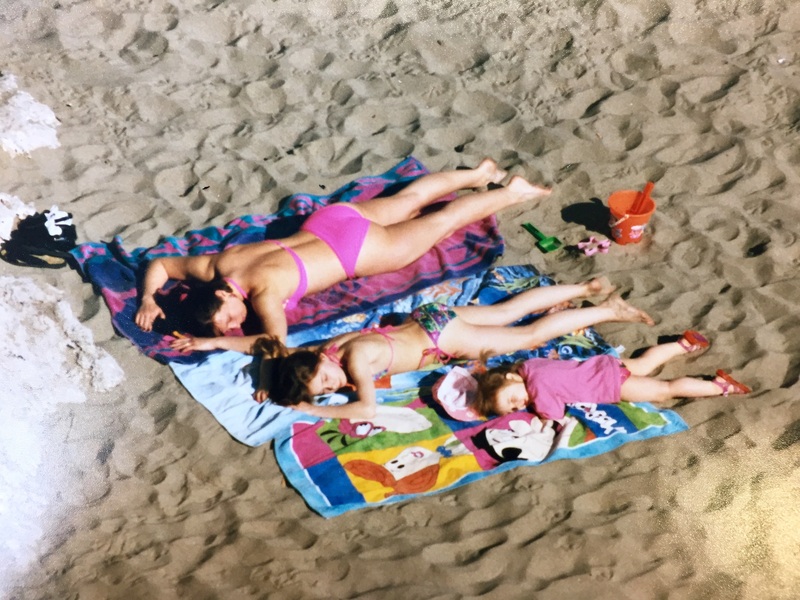 Us three girls a few years later but now mum is the littlest one! Because we’re super snap-happy (and also maybe a little bit cheesy), we attempted recreating our wedding photo on the beach but this time in our swimwear! 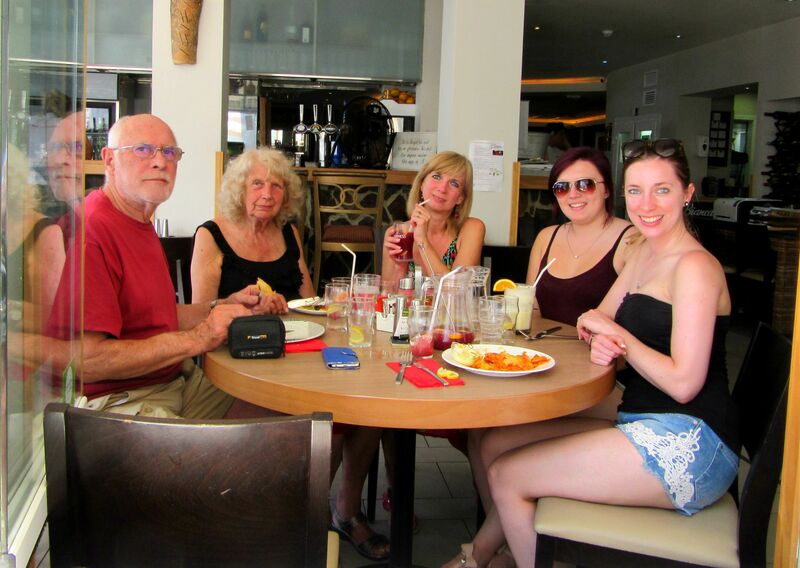 After a few hours of relaxation and burning our feet on the sand some more, we went off exploring the centre of town, wandering along Main Street, stopping at pubs we’d been frequenting for years, and visiting the new pretty park. We didn’t spot any Barbary Apes on this visit though but we’ve had plenty enough encounters with the cheeky monkeys before! 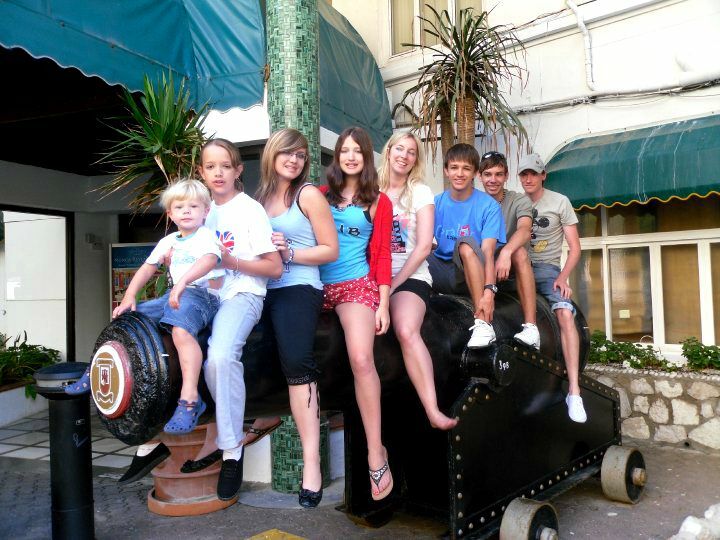 The cannons dotted around Gibraltar always seemed to be an attraction when I was smaller and I used to clamber up on top of them with all the other youngsters in my family. This time we decided we were perhaps a little too old to climb up on top so we just stood by them like the grown ups we are meant to be are. 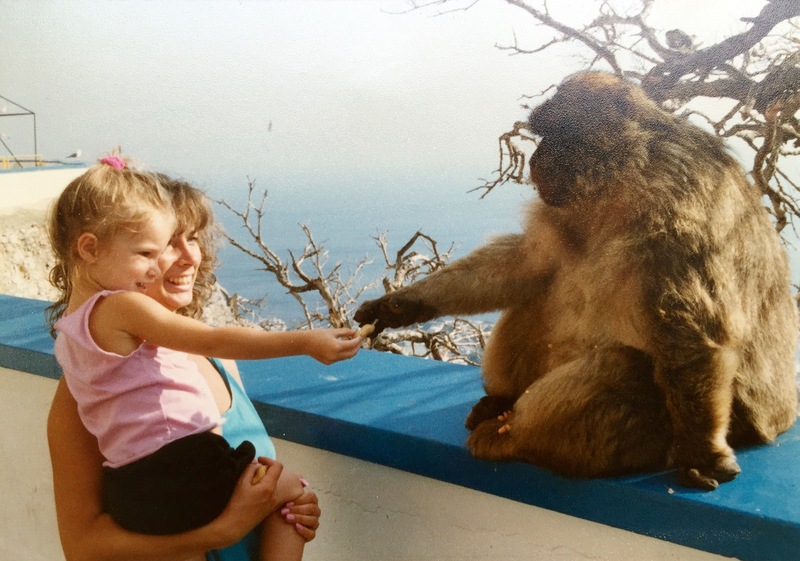 I have always had such wonderful holidays with my family in Gibraltar and return trips always bring back the best memories. Building sand castles with my cousins, jumping over waves with my sister, trying sangria for the first time, and becoming the mini adventurer that I am today. 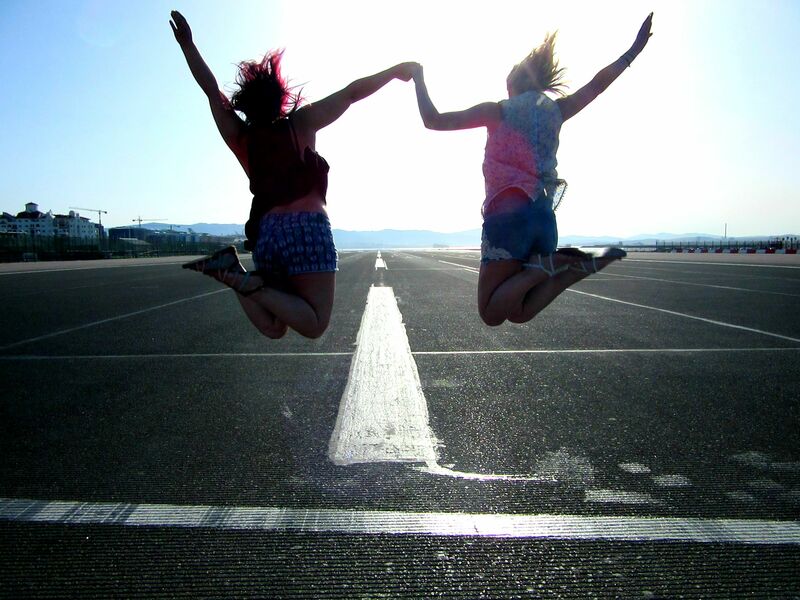 Jumping over the runway – a slightly better jumping technique now we’re all grown up! 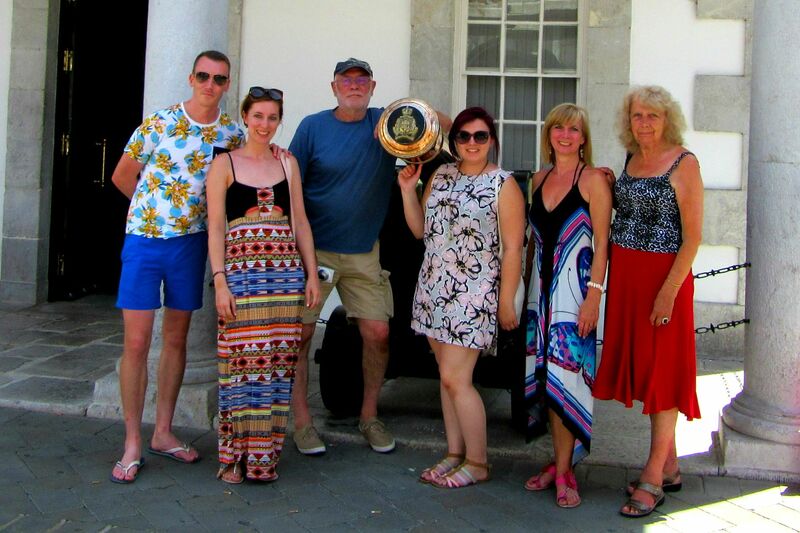 You can read more about our time in Gibraltar here including lots of relaxation and celebrations! Aw, this is really sweet Ayla! How lovely that you have somewhere with so many happy memories. Thank you so much! 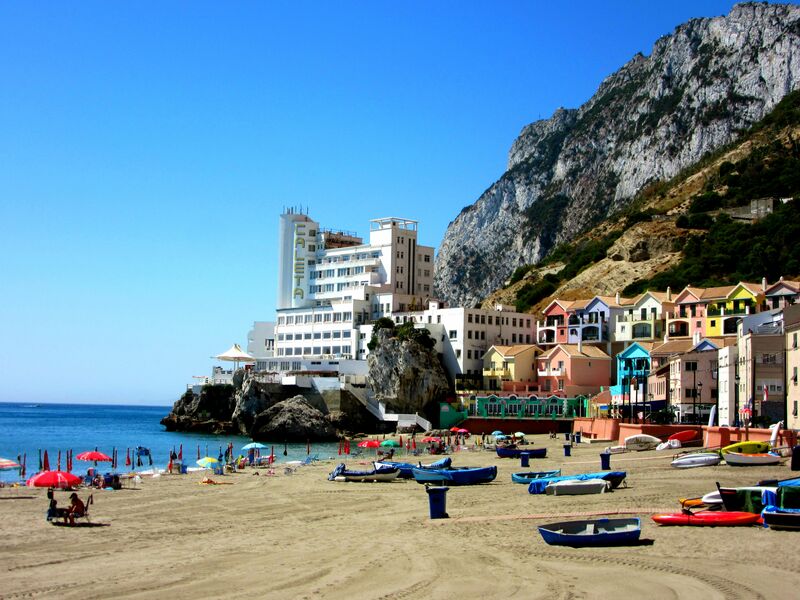 Gibraltar is a beautiful place and that’s not just me being bias! What a lovely post! Though as travel bloggers I think we’re always looking to try something new and there’s the itch to go to new countries however, I also love returning to places that I’ve been especially with my husband. I love that you recreated some of these snaps. 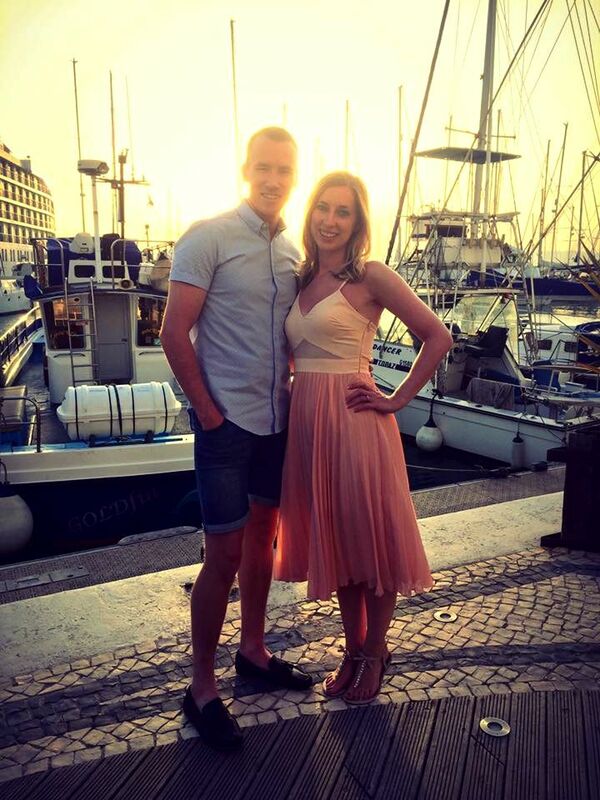 You’re both still looking as good 8 years on – and nice that you have memories of family holidays there too. I love getting stamps in my passport, I keep the old ones! what a wonderful comparison! Great post Ayla! loved it. Such a lovely post – its so nice to go back to somewhere with so many good memories from over the years. My wedding venue is about five mins from my house so I don’t need much of an excuse to go back there, but New York is somewhere I’ve been to over 20 years now and always brings back great memories. I adore this – what a cool trip down memory lane! I had so much fun going back through old photos! 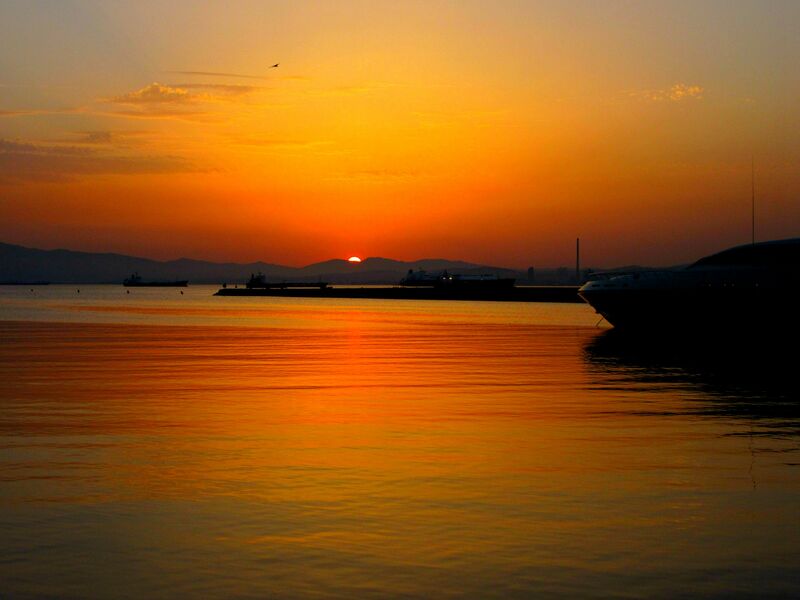 Gibraltar looks beautiful, especially the sunset. I am really considering visiting it sometimes, you really inspired me to go. Love the photos!